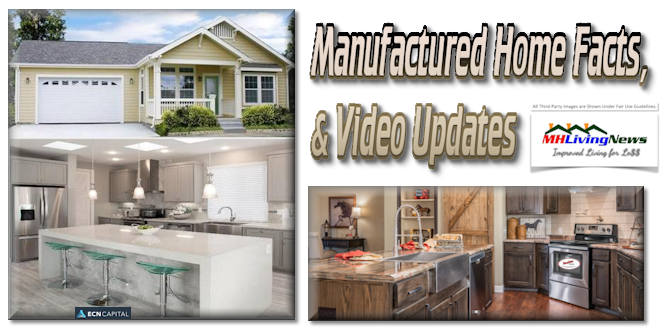 The manufactured housing industry is undergoing significant changes in both the United States and in Canada. 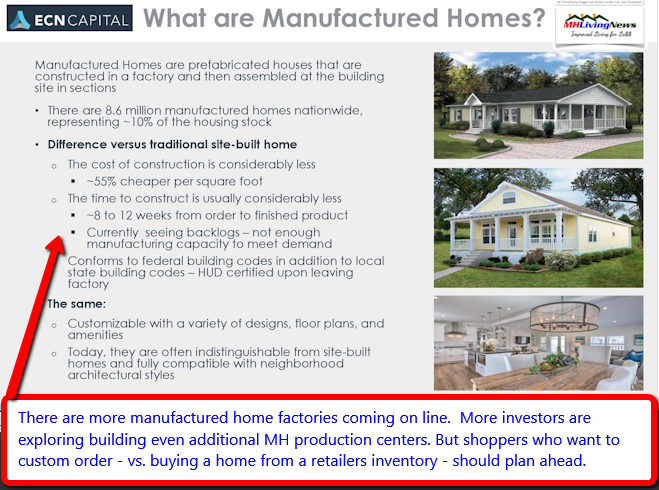 As we reported some weeks ago via our interview with award winning retailer, Alan Amy, billionaires and billion-dollar operations are literally buying into the manufactured home industry. Millionaires and billionaires personally own a manufactured home. When today’s manufactured homes are good enough for the rich and famous, then surely they are good enough for the rest of Americans. While Kid Rock decided not to run for the Senate – at least for now – he’s one of those rich and famous performers who loves his manufactured home so much, he featured it in the music video that is found on the page, below. Harvard University and other researchers over the years have touted the bright future of manufactured homes, based upon facts. Interest and sales of manufactured homes are rising. Investors, home shoppers, and home owners alike are finding their solution for the affordable housing crisis in modern manufactured homes. 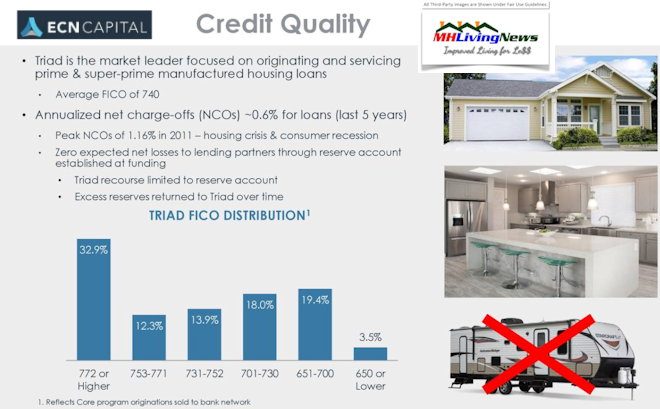 Credit scores with Triad Financial largely mirror those of those who buy conventional housing. The Florida Manufactured Housing Association (FMHA), are among the state associations that are seeking to address some of the misconceptions about manufactured homes. The FMHA created the video, shown below. Among the misconceptions about modern manufactured home living is that only poor people buy them. Or that only those with poor credit scores want them. 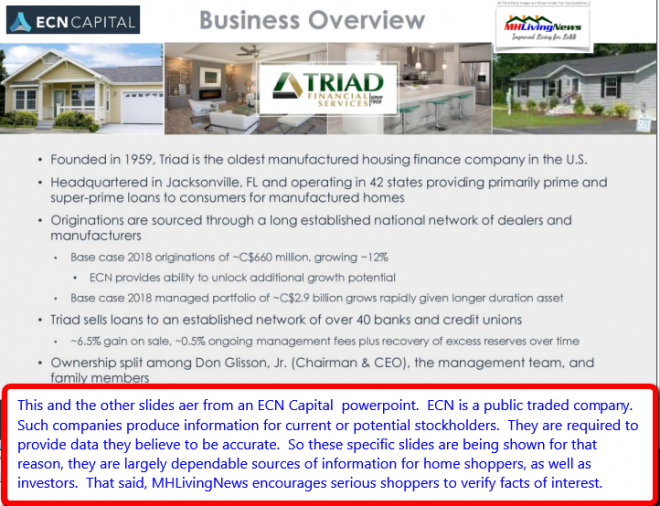 The facts from a few slides show above from Canadian ECN Capital – which recently acquired U.S. based Triad Financial Services – dispels some of those misconceptions. While there are many who do have credit challenges – who want their own home too! – that also find financing for a manufactured home, ECN-owned Triad’s data proves that their manufactured home buyers’ credit profiles are similar to those conventional buying a conventional house. Because of widespread misunderstandings about manufactured homes, millions of Americans who want a home of their own, have not done any serious research into today’s factory-built housing. Why do those misunderstandings exist? There are several reasons, including the fact that too many in the mainstream media often accept the outdated stereotypes about manufactured homes as true, rather than digging deeper and learning the facts. Controversial manufactured home community owner, Frank Rolfe says that part of the problem lies with the Arlington, VA based Manufactured Housing Institute (MHI), for routinely failing to engage the media. Whatever good, bad, or indifferent may come from MHI, state associations – like Florida, South Carolina, and Arkansas – are trying to create resources that address the questions and concerns many shoppers have. Those state associations in turn have thoughtfully asked MHLivingNews to share their videos and resource materials with our readers. There have been solid mainstream media reports that underscore the value of manufactured housing as an important part of the affordable housing crisis.